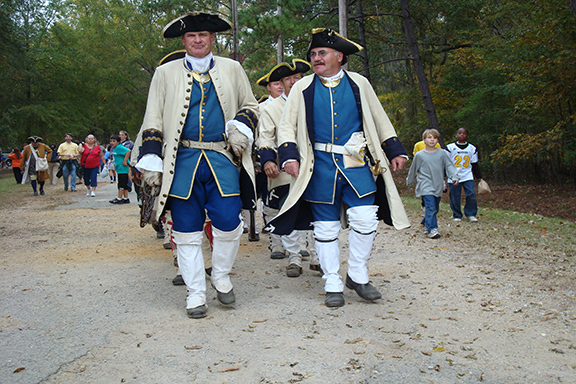 Living history programs, including the French and early American periods, are held regularly at the park. Alabama Frontier Days, held annually in November, depicts life on the frontier from 1700-1820. School groups attend Wednesday-Friday by reservation only. For more information contact the site director at 334-567-3002 or ove.jensenahc@gmail.com.